The so-called debt ceiling crisis has nothing to do with the government running out of money. It is about the creation of a super committee, a council of thirteen, designed to circumvent Congress and ignore the will of the American people. The ruling elite have a plan to take America down. The takedown has a timeline, a schedule, and it has been interrupted and set back by Congress. Despite the fact Congress usually does whatever the globalists tell them to do, certain members hold up the agenda by holding hearings and introducing resolutions on everything from the Federal Reserve to the globalist wars in the Middle East, South Asia and now Africa. The handpicked “super Congress” – six members from the Senate, six from the House, and the president forming a committee or gang of 13 – will now push through the elite’s agenda behind closed doors in direct violation of the Constitution. Like the Supreme Soviet, the Council of 13 will take on the trappings of democracy – because the committee was proposed by elected officials, namely Senate Minority Leader Mitch McConnell and his counterpart Majority Leader Harry Reid with the consent House Speaker John Boehner – but will act as dictatorship by committee. 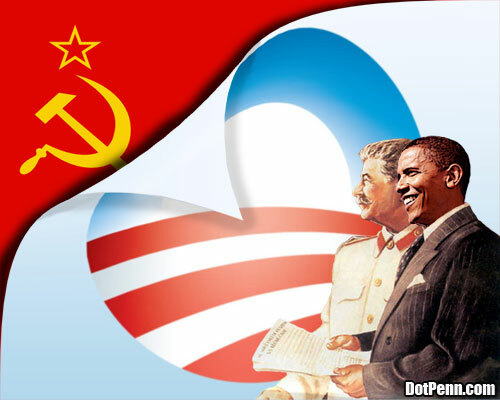 If allowed to stand, the United States will have its own Central Committee, just like the former Soviet Union. The Constitution allows each house of Congress to set its own rules. Early on, debate and filibuster were added to the rules. The Committee of 13, however, will strip Congress of its power to filibuster. It will prevent the Speaker from stopping a vote in the House. It will fast-track the entire globalist agenda – from carbon taxes to the total destruction of the Second Amendment. It will end amendments to laws and only allow an up or down vote on legislation. It will turn Congress into a rubber stamp even more than it is already. In their wisdom, the framers envisioned the House as a place of heated debate and the Senate as more staid place where rhetoric would cool down. It has its origins in the concept integral to our political system that the rights of the minority must be protected from the force of the majority. The idea and practice of a super Congress, a Committee of 13, puts an end to this tradition. It is a totalitarian steamroller. By voting for the so-called debt ceiling bill, both houses of Congress are voting to legitimize the Soviet-style super committee of 13 globalist grocery clerks. It is another step by the elite to throw the Constitution under the bus. As a first step, the Gang of 13 will impose taxation as a solution to the astronomical debt placed on the American people by the international bankers who own the private Federal Reserve. A super committee will be required to keep the debt and debt slavery scam going now that an increasing number of Americans understand that the Fed is nothing but a money printing machine designed to devalue the worth of our currency under the guise of stimulating the economy and the perpetually unfulfilled promise to create jobs and prosperity. It is contempt for the Constitution and the intellectual and spiritual laziness of our so-called representatives that has allowed this atrocious state of affairs to exist under the excuse of confronting a debt the American people do not owe. Direct political action will be required to put and end to this monstrosity. Short of that, we can expect another dagger to be stuck in the heart of our liberty as the global elite continue step by step to build their authoritarian control structure designed to turn the earth into a sprawling slave labor gulag and plantation. This article first appeared in the Infowars Insider.